Freemans Forest Nature Refuge provides a critical link in the wildlife corridor joining the World Heritage listed Curtain Fig and Lake Eacham National Parks on the Atherton Tablelands in Far North Queensland. Habitat fragmentation threatens the long term survival of many of the ecosystems on the Tablelands which have been very heavily cleared because of the rich volcanic soils. 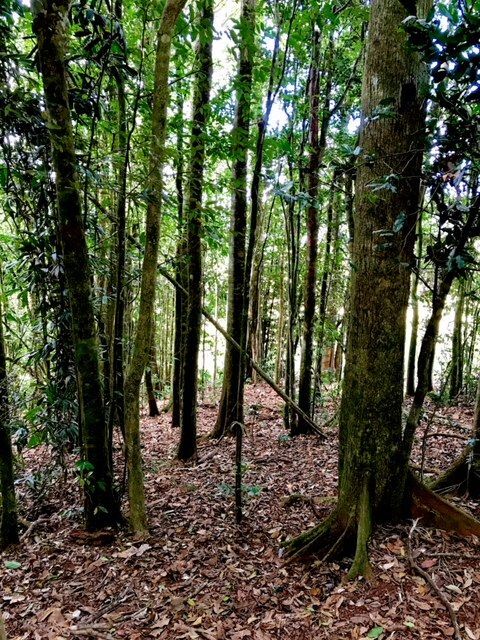 The local rainforest restoration group, TREAT, has had a long term project to join a number of the major remnants and has been working for many years on the Peterson Creek Corridor between the Mabi Forest at Curtain Fig and the Hipsy Forest at Lake Eacham. One of the more interesting inhabitants of the rainforest on the nature refuge is the musky rat-kangaroo, Hypsiprymnodon moschatus, after whom the Hypsy Forest is named. This rat-kangaroo is a primitive form of macropod with a prehensile tail and opposable thumbs on its hind feet which help it climb. It is our smallest kangaroo. It is endemic to the Wet Tropics. Unusual for macropods it is diurnal and spends the nights in small grass nests.